How to do CRUD using WCF? - Loginworks Softwares Pvt. Ltd.
Home Technologies How to do CRUD using WCF? If we talk about web service well it is Completely Based on SOAP and return data in XML form. This support only HTTP protocol. This is not open source but can be consumed by any client that understands xml. This can be hosted only on IIS. Dependent on SOAP and return data in XML form. WCF Follows many protocols like TCP, HTTP, HTTPS, Named Pipes, MSMQ. The main issue with WCF is its tedious and extensive configuration. This can be hosted within the application or on IIS or using window service. Enable webHttpBindings to use WCF as WCF Rest service. [WebGet] and [WebInvoke] attributes are used for HTTP GET and POST verbs. For enabling other HTTP verbs you will need to have some configuration in IIS to accept a request for that particular verb in .svc files. To pass the values through parameters using a WebGet it establishes configuration.There should be specified UriTemplate. This support XML, JSON and ATOM data format. The latest framework for creating HTTP services with ease and in a simple way. 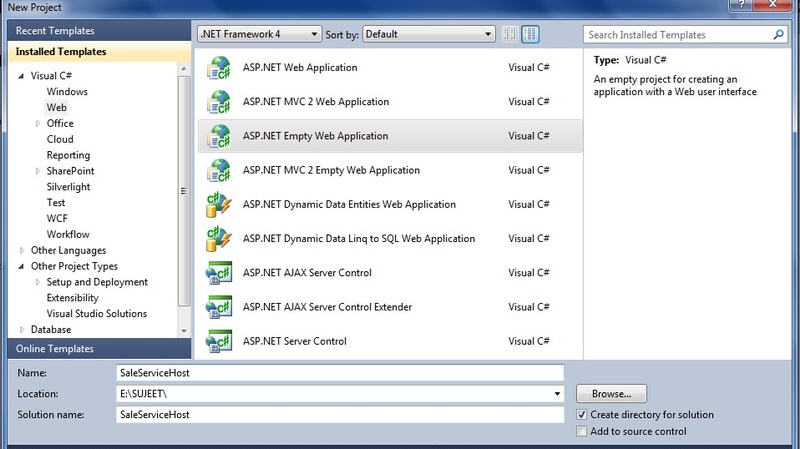 Web API is open source and an suggested platform for making REST-ful services using .NET. Complete support of MVC features like routing, controller, action result, filter, model binder, dependency injection, unit testing so it makes it more simple and robust. This can be hosted with in the application or on IIS. This is light weight architecture and good for devices which have limited bandwidth like smart phones. Responses are formatted by it’s MediaTypeFormatter into JSON, XML or you can add any format you want to as a MediaTypeFormatter. Whom to choose between WCF and WEB API? Select WCF while creating a service to have specific plan such as one way messaging, message queues, duplex communication etc. Select WCF when you want to build a service that uses fast transport channel (if available), like : TCP, Named Pipes, or might be even UDP (in WCF 4.5), also support HTTP when all other transport channels are not available. Select Web API when you want to build a resource-oriented service over HTTP which can use the full feature of HTTP (as in URIs, request/response headers, caching, versioning, various content formats etc). Select Web API when you want to expose your service to a broad range of clients including browsers, mobiles, iPhone and tablets. I am giving you an example of CRUD in WCF. Step by step process of creating WCF service. How to get data from WCF. Step by step instructions to load gridview from SQL Server database using WCF service. 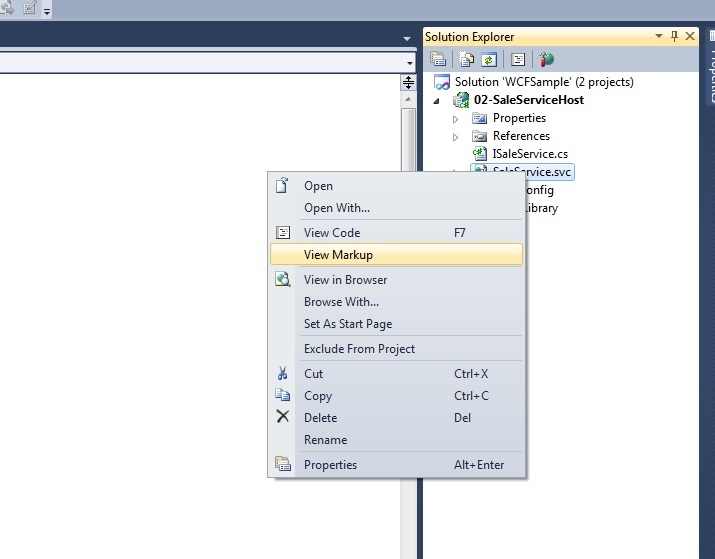 Performing insert, edit, update and delete operation on gridview. 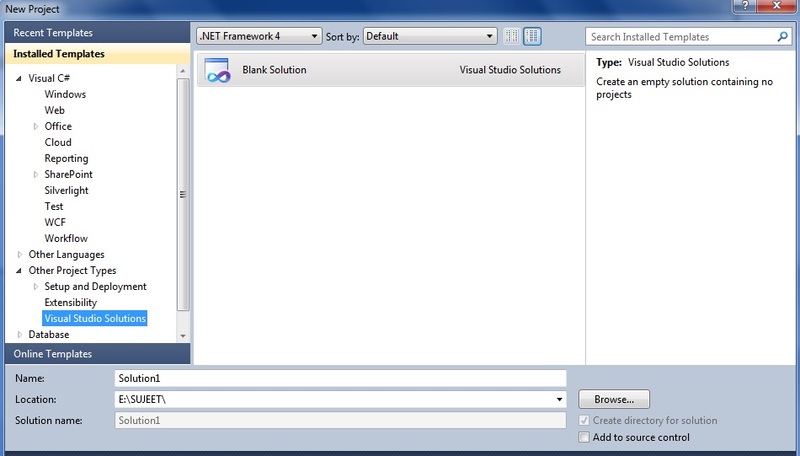 Step 1: Open Visual Studio -> Go to File menu -> New -> Project –> Select the new Empty Solution and give name WCFProject. 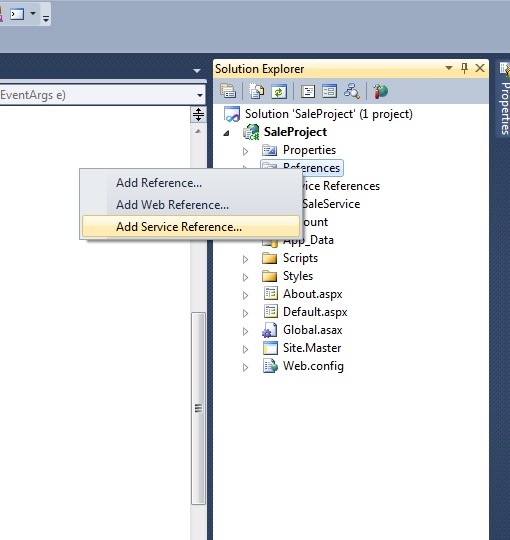 Step 7: Add New Empty ASP.NET Project into that Solution, give the name SaleServiceHost. 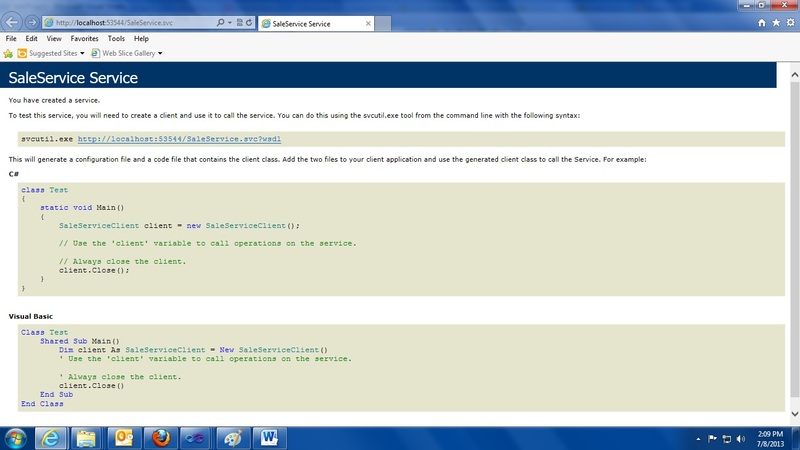 Step 8: Add a reference named ClassLibrary Project to that SaleServiceHost ASP.NET project. 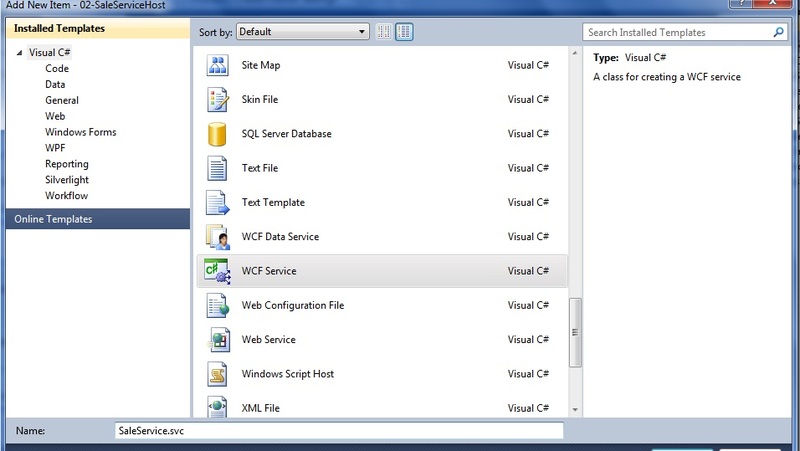 Step 9: Add new item WCF Service in that SaleServiceHostASP.NET project and give the name SaleService. 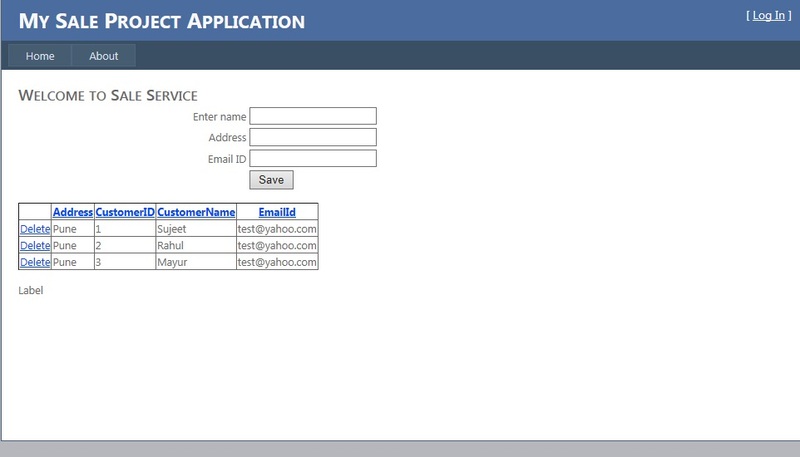 Step 11: And build the solution and SaleServiceHost set as the startup project and SaleService.svc set as startup page. In this way, your WCF service builds successfully. Give the name for your service as SaleService -> OK.
Add your service reference at the top. By utilizing this, you have effectively embedded information in the database and you have likewise demonstrated this in the gridview. Previous articleHow To Create And Work With GIF? Next articleHow to Implement OOPs Concepts in Java? Very Nice…… All the Best !! !